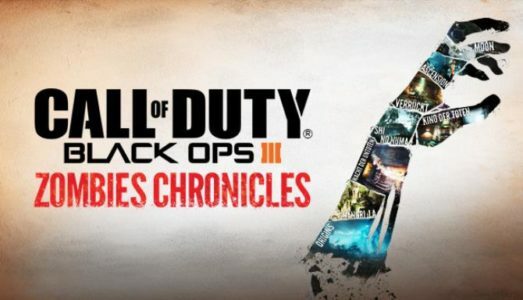 Call of Duty®: Black Ops III - Zombies Chronicles is available now on PS4™, delivering 8 remastered classic Zombies maps from Call of Duty®: World at War, Call of Duty®: Black Ops and Call of Duty®: Black Ops II. Complete maps from the original saga are fully remastered and HD playable,Call of Duty®: Black Ops III - Zombies Chronicles is available now on PS4™, delivering 8 remastered classic Zombies maps from Call of Duty®: World at War, Call of Duty®: Black Ops and Call of Duty®: Black Ops II. Complete maps from the original saga are fully remastered and HD playable, within Call of Duty®: Black Ops III.